You may have seen the “task processor queue reached 500 scheduled tasks” in asterisk. Let’s understand what is the meaning of this warning and what this cause. Task processors have been in Asterisk for a long time. 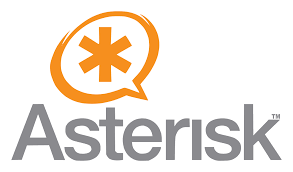 Since Asterisk v12, they have become more important because the PJSIP, sorcery, and stasis modules heavily rely on task processors. As a result, the symptoms of overloading your Asterisk installation have changed. An early symptom of an overloaded system is when task processors start queueing an excessive number of tasks to process. If the overload conditions are not relieved then later symptoms can include high CPU utilization and/or high memory consumption due to extremely large queues. You can see some task processor statistics by executing the CLI command “core show taskprocessors”. Starting in Asterisk v13.8.0 task processors created by PJSIP, sorcery, and stasis have meaningful names instead of an opaque UUID string. Meaningful task processor names help identify modules in Asterisk that are bottle necks on your system. Disable features you do not need. It is important that if you do not need features like Homer(HEP), CDR, CEL, or AMI that you do not enable them and for HEP you shouldn’t load those modules either. You can adjust the thread pool parameters for PJSIP and stasis task processors. The PJSIP thread pool is configured in pjsip.conf. The stasis thread pool is configured in stasis.conf.